Derek Mong is the author of two poetry collections from Saturnalia Books: The Identity Thief (forthcoming, 2018) and Other Romes (2011). His poetry, criticism, and translations can be found in Brooklyn Rail, Michigan Quarterly Review, Two Lines Press, American Literary Review, and elsewhere. 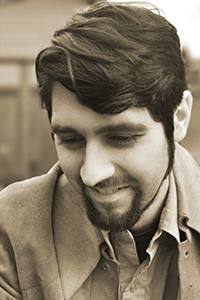 A former Axton Fellow at the University of Louisville and Ruth Halls Poetry Fellow at the University of Wisconsin–Madison, he earned an MFA in creative writing at the University of Michigan and completed a PhD in English literature at Stanford University. Mong blogs for The Kenyon Review and reviews poetry for The Gettysburg Review.